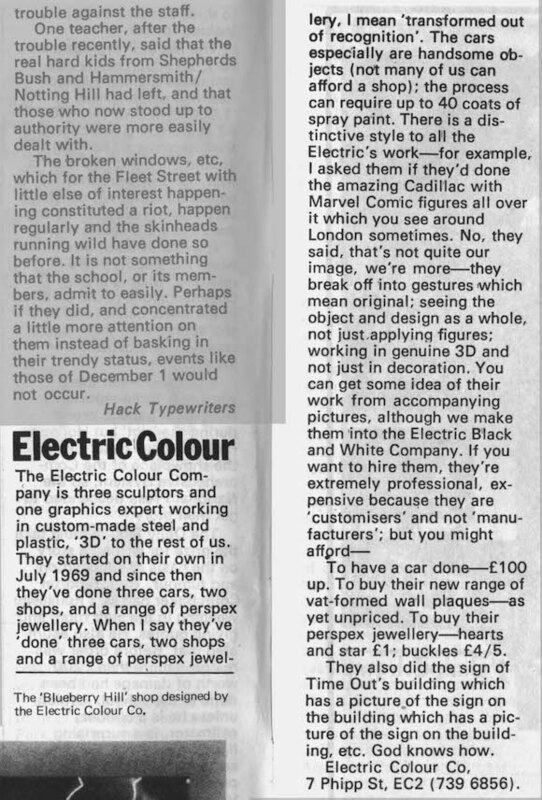 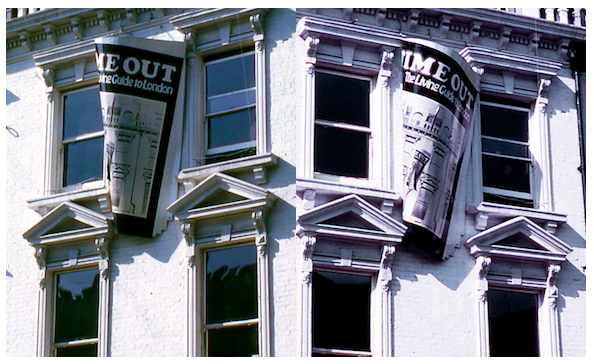 Recent encounters with Time Out founder Tony Elliott have brought to mind the audacious sign created by design collective Electric Colour Company to mark the magazine’s move into premises at 374 Gray’s Inn Road. 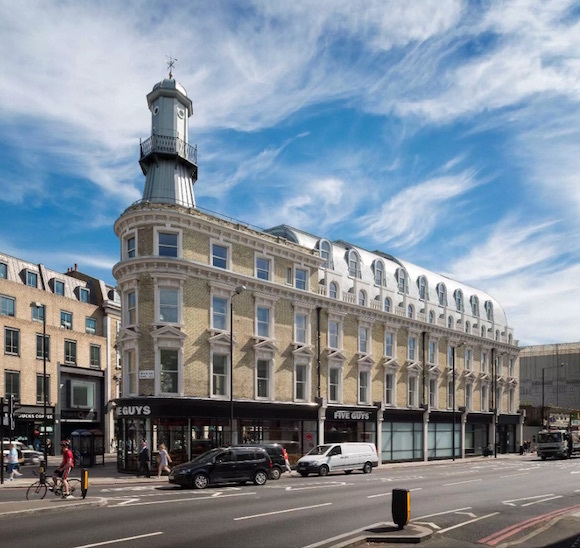 374 Gray’s Inn Road stands in the block known as the Lighthouse, after the tower at one end (which apparently marked a popular oyster house in the Victorian era; see here). 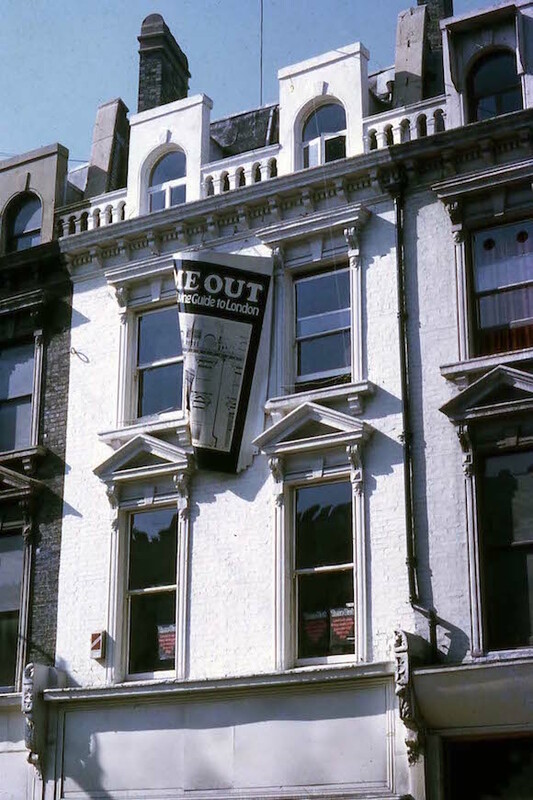 Time Out was based at the address for more than a decade before moving to Southampton Row and then, after two decades, to its current headquarters in Wicklow Street, a stone’s throw from the Lighthouse. 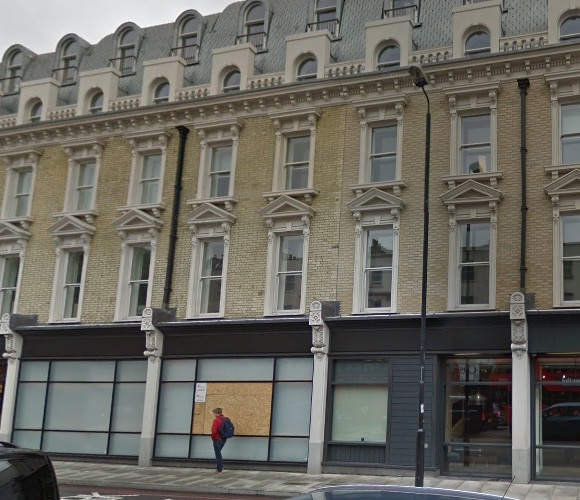 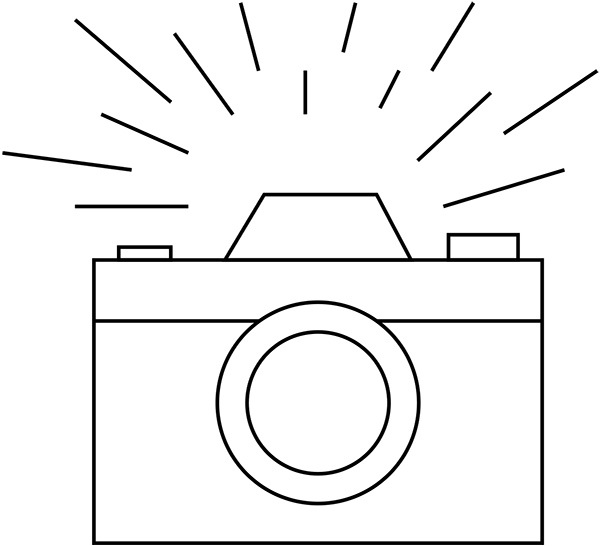 These days the terrace 372-380 Gray’s Inn Road is home to the video hosting service Vevo.